Following yesterday’s sad epilogue to a court case, where the father of a murdered son jumped out of the window of the Criminal Court because the suspect was acquitted, a spokesperson has made a statement about the case. The court of justice tried has sought to clarify why the Criminal Court ordered the acquittal of the defendant in a murder case which appears to have led to a the suicide of the murder victim’s father. The defendant, Mr Natthapong Nernkiri, was charged with murder for stabbing to death Mr Thanit Kanhasunthorn in Din Daeng area in April last year. 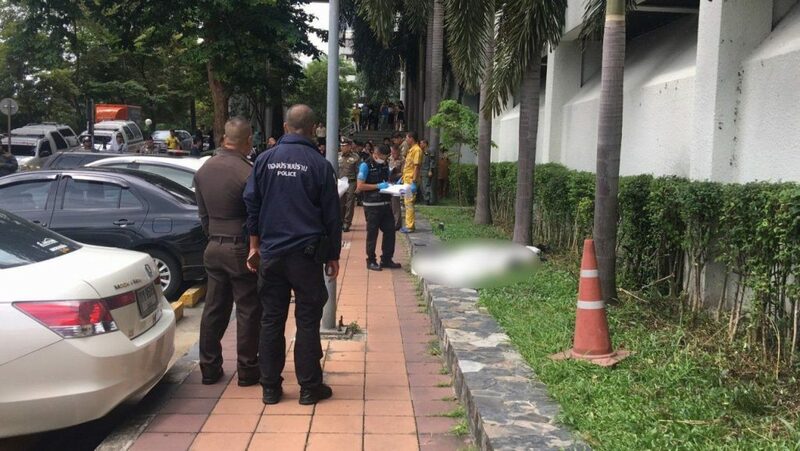 Thanit’s father, Mr Supachai, jumped to his death from the 8th floor of the Criminal Court on Ratchadapisek road in an apparent suicide after the court issued the acquittal verdict. 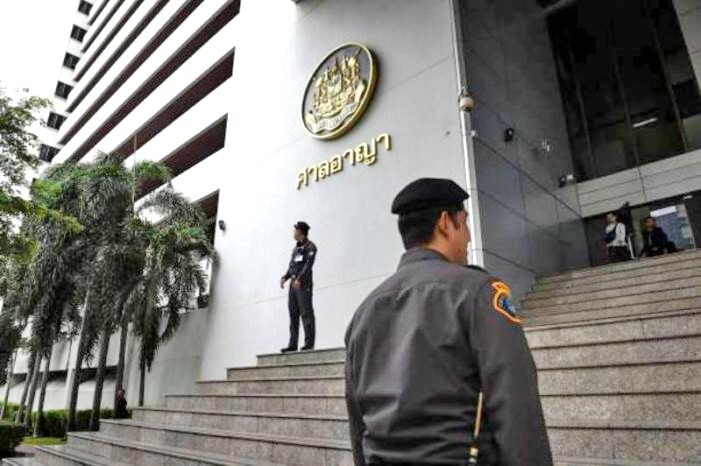 Court spokesman Mr Suriyan Hongvilai explained that the witness who claimed to have seen the stabbing incident and served as a police witness failed to show up before the court to testify against the defendant because he was under treatment for mental sickness at a hospital. He said that other evidence presented before the court was not substantive enough to convince the court to convict the defendant. A video clip shown to the court by the prosecutor did not show the crime scene where the stabbing incident allegedly took place, he said. Mr Suriyan said the prosecutors can still appeal the verdict. He gave an assurance that the court would do its best to ensure justice to all, adding that he believes the police and the prosecutor in charge of the case had done their job properly.